Too many Millennial women are operating under clipped wings that prevent them from achieving economic security and soaring to their full potential. 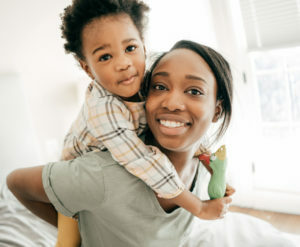 Existing policies affecting family economic security do not support Millennial women’s rise in educational attainment and resulting student debt burden, nor do they acknowledge the ongoing roles Millennial women play as the primary caregivers for children and other family members. On Thursday, November 29, 2018, Jhumpa Bhattacharya of the Insight Center participated in a webinar that explored how the millennial gender wealth gap is compounded by systemic barriers including lack of affordable childcare and paid family leave policies in addition to student debt, mass incarceration, and changing family structures. Click here to access the recorded webinar and slide deck.